Be a more persuasive presenter in 10 seconds | APEX Public Relations Inc. Enough with the introductions and agendas already. By the time you’ve introduced your credentials and thanked the audience for taking precious time out of their day to listen to your erudite thoughts, you’ve lost the room. I’m not a psychologist or sociologist, but as a communications trainer who has observed hundreds, if not thousands, of presentations I can assure you that audiences are won or lost within the first 5 to 10 seconds. As a presenter (and we’re not talking about professional speakers who make a living inspiring people, but regular professional area experts), you’re at a deficit with your audience even before you open your mouth. 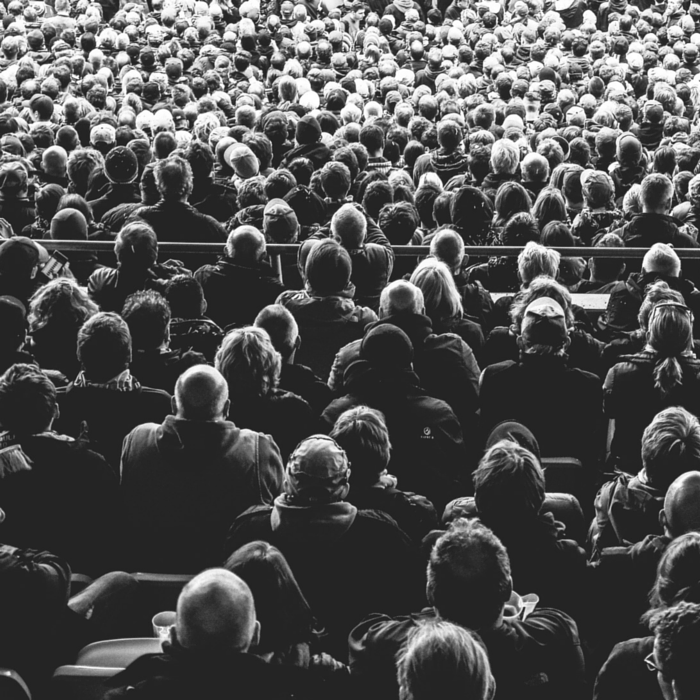 I call it the “professional audience syndrome.” Based on my observations, audiences start to fidget with a sense of cynicism as the presenter readies to get started, as experience suggests to them that they’re in for another forgettable presentation. Their expectations are extremely low. It’s not that the topic is uninteresting or the presenter lacks impressive credentials, it’s simply that the audience expects another conventional presentation like countless of others. So, presenters must snap them out of it by being unconventional at the top. By breaking conventions deliberately in the first 5 to 10 seconds you in fact nudge your audience to engage and retain better. Communications and organizational behaviourial authors, Chip and Dan Heath, call this the element of surprise. If you expect the presenter to follow conventional principles of introduction, but she then re-orients you by talking about you and your self-interests – the reason you’re sitting before her in the first place – your audience pulls a double take. Not only has the presenter surprised you by not following convention, but she has now also given you a tangible reason to sustain your engagement emotionally and intellectually. Your audience has so-called “skin in the game” now. It’s very effective. In my training seminars, I coach participants through what I call the pre-amble. It’s a tight 3-part intro that delivers the element of surprise, while also given the audience the emotional and intellectual messaging they need to engage. It also serves to guide your audience through the elements of your presentation without the dullness of an agenda. So, in your next presentation, switch it up at the top. And if you have to introduce yourself, do it after the pre-amble rather than before it. For more information on APEX PR’s communications training modules, visit apexpr.com. Kenneth Evans is managing partner.